I remember 1963 for the good stuff. My favorite band, the Beach Boys, were cranking out hits along with a new group from England. Of course I know it’s the Beatles. ’63 was also the year dad packed up the whole family and moved us from Madison, WI., to Milwaukee, WI., where dad went to work for his new employer…..wait for it….American Motors. It was also a good year for AMC since the Rambler Classic was named Motor Trend magazine’s Car of the Year. I also remember another car, non-AMC, that caught my eye. 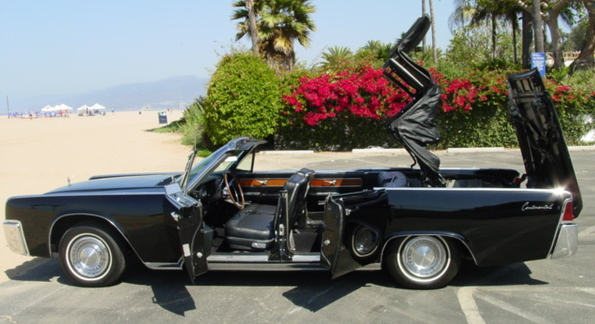 It was a ’63 Lincoln Continental Convertible with the suicide doors that one of our female neighbors drove. Maybe it was just the person driving the car but I had never ridden in a convertible. Sort of that lust thing happening here? The ’63 was the fourth generation introduced in ’61. 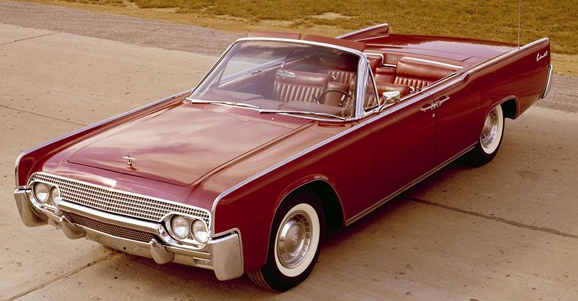 It might not have been because it was originally intended to be the 1961 Ford Thunderbird. 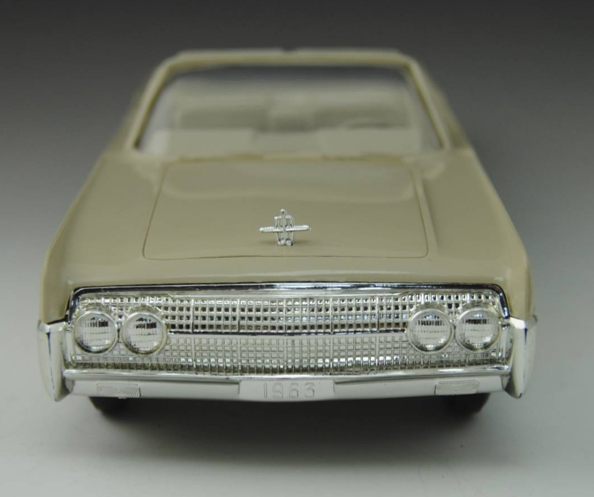 The design was enlarged and slightly altered before being switched to the Lincoln line. 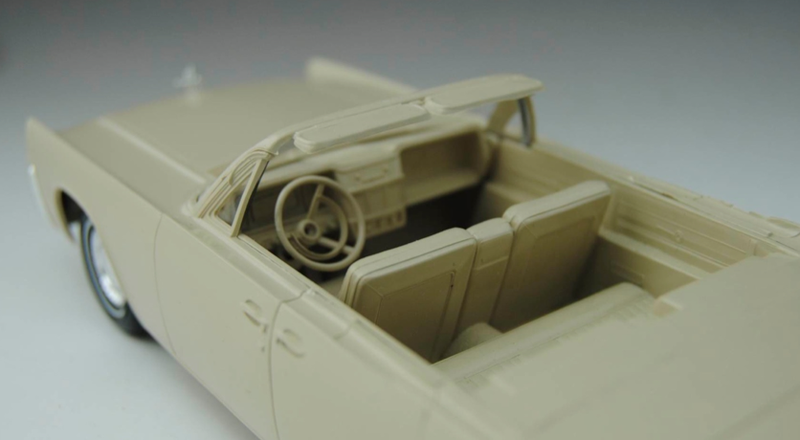 It was the first postwar four-door convertible from a major U.S. manufacturer. It was because the marketing guys wanted them, right? Not exactly. “Suicide doors” date back to horse-drawn carriages and were a purely practical decision. The new Continental rode on a wheelbase of 123 inches, and the doors were hinged from the rear to ease getting in and out. When the Lincoln engineers were examining the back seats that styling had made up, the engineers kept hitting the rear doors with their feet so hinging the doors from the rear solved the problem. The doors were to become the best-known feature of 1960s Lincolns. Suicide doors were especially popular in the gangster era of the 1930s, supposedly due to the ease of pushing passengers out of moving vehicles with the feature, according to Dave Brownell, the former editor of Hemmings Motor News. 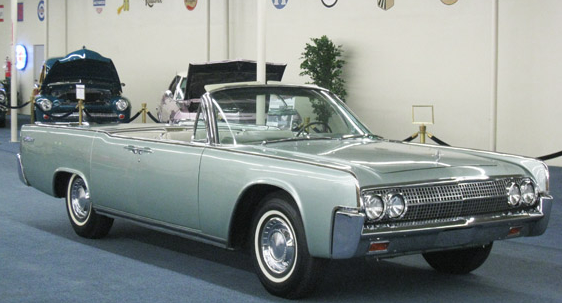 The last mass-produced car model with independently opening suicide doors was the ’71 Ford Thunderbird four-door sedan. Safety concerns (the lawyers) prevented the subsequent use of such doors and some car companies have used a version when the back door won’t open until the front one is. They don’t use the term anymore. That might be a tough sales pitch. All the Lincoln’s came with huge V8’s since gas was only 29 cents a gallon then. 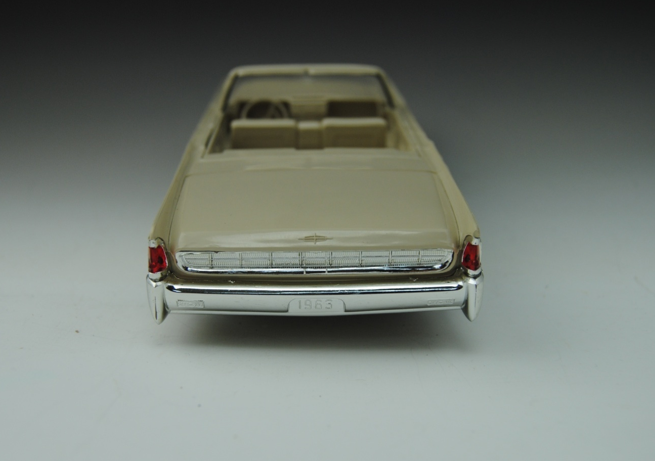 This generation of Continental is favored by collectors and has appeared in many motion pictures, such as Goldfinger, The Matrix, The Last Action Hero, and the Inspector Gadget films. It has also appeared on TV. Oliver Douglas, (Eddie Albert) in Green Acres owned a Lincoln Continental convertible and it is the vehicle of choice for Michael Chiklis’s character Vincent Savino in the series Vegas. I love both those shows. Watch Vegas for all the older cars in it. In my research for this blog entry to see what they are going for now, I started out at my favorite place, Hemming’s and found the example on the left at The Auto Collections museum right off the strip in Vegas. You have to go there! Tons of cool cars and they are all for sale. Win big my friend, win big. While the car is valued around $77 grand by the National Association of Automobile Dealers Association you can find good examples in the $40’s like this California car on the right. Ah, I can see myself in that car. Hawaiian shirt on, shorts, sunglasses and of course a cold beer. Good examples of the promo model are hard to find and when they do show up at an auction they are not cheap. This ’63 comes from our friends at Wheat’s Nostalgia. If this isn’t a 10, it has to be pretty close. The vent window posts are there and with no cracks. Another item that will knock down the price is a missing hood ornament and this one has it. There were 27 bidders on eBay for this and it eventually sold for $233. I’m thinking if there are kids or grand kids for the new owner, it goes right into the display case. The only thing it’s missing is that female driver.